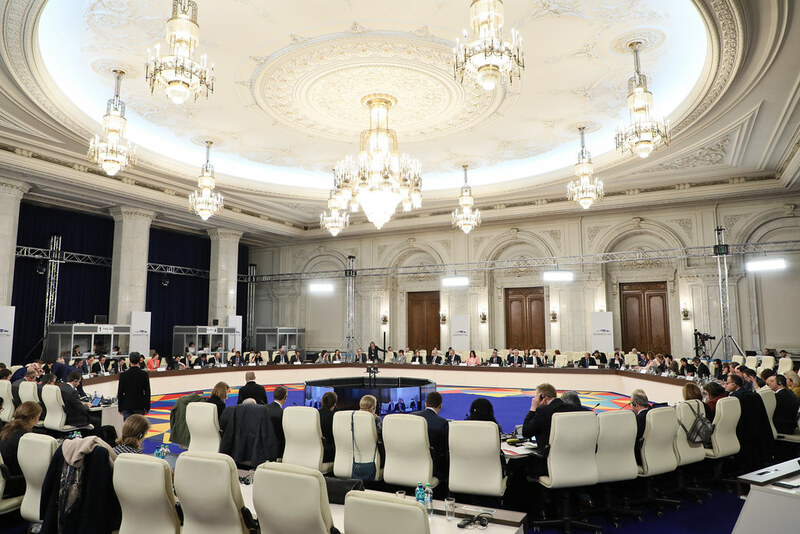 In the context of the Romanian Presidency of the Council of the European Union, the informal reunion of Culture ministers of will take place on April 16, 2019, in Bucharest. The event will be held at the Palace of Parliament. The meeting will be attended by the ministers from EU Member States and will be chaired by the Romanian Culture and National Identity minister, Valer Daniel Breaz. The European Commissioner for Education, Culture, Youth and Sport, Tibor Navracsics, representatives of the General Secretariat of the Council of the European Union, as well as representatives of the Romanian Government will also take part the meeting. The two working sessions will be dedicated to the following topics: funding and innovation for cultural and creative sectors; European cultural heritage. Culture has an essential role in securing convergence and cohesion in Europe, as well as in raising awareness in our common values. In this regard, one of the priorities of the Romanian Presidency of the Council of the EU is to create new opportunities for the cultural and creative sectors in Europe. During the first working session, the participants will discuss possible measures which should be adopted for unblocking the potential of cultural and creative sectors. In an environment which is continually changing, accessibility to funding is still an important issue, as well as the measures that enhance the innovation and entrepreneurship potential of cultural and creative sectors. The second working session will target the legacy and dynamic generated by the European Year of Cultural Heritage 2018. The results of the conference “European Heritage – shared experience and regional specificities”, organized in Sighișoara, April 11-13, 2019, will also be presented during this second session. Journalists can attend the meeting only if they have a valid accreditation for the event organized under the Romanian Presidency of the Council of the European Union (https://accreditation.romania2019.eu/events/3Pnv45Yz8dQkjro; registration is open until April 5, 2019). Journalists can apply for an accreditation using the portal https://accreditation.romania2019.eu/. Mass-media representatives can collect their badges exclusively in person, by presenting a valid ID and a printed copy of the e-mail that states that the accreditation has been approved. The access badges can be obtained before the day of the meeting, from the Accreditation Centre in the Palace of Parliament (Izvor Street, 2-4, S2 entrance, Bucharest), between 9.00 AM – 17:00 PM, or on the day of the event, between 7.00 AM – 18.00 PM. Journalists without an accreditation have to present a valid ID and a confirmation letterhead paper. The letter should state the name of the journalist and the media institution represented by them. During the reunion, the Media Center will be open in the Palace of Parliament, Iuliu Maniu Hall. Journalists have access to it exclusively through the access point in Izvor Street, 2-4, S2 Entrance. Video footage of the event will be offered by TVR, the Romanian Public Television and official broadcaster of the Romanian Presidency of the Council of the EU. Journalists will have access inside the Palace of Parliament for the activities related to the Informal reunion of Culture ministers.